Gustav Cramer (1881–1961) was a German art dealer from Berlin who specialized in Old Master paintings. In 1938, escaping the Nazi regime, he moved to the Netherlands and reopened his gallery in The Hague. 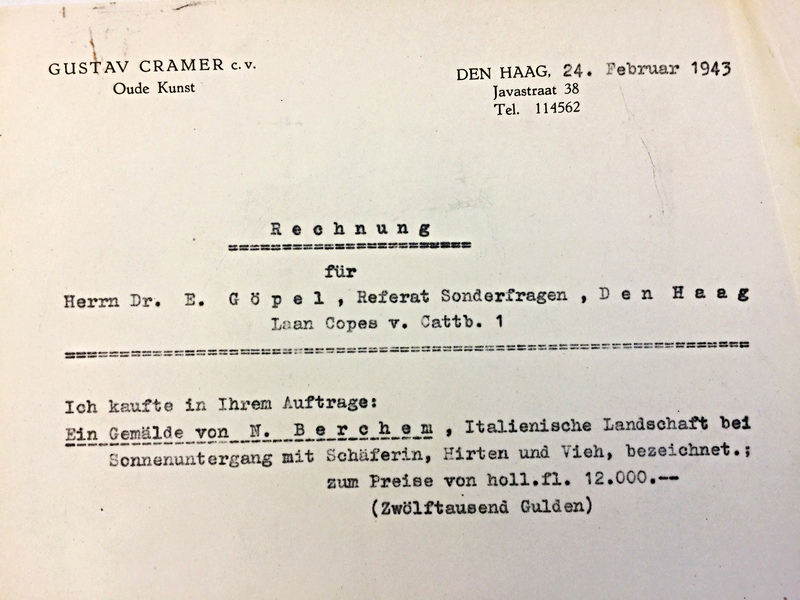 With the Nazi occupation of the Netherlands in 1940, German authorities in The Hague advised Cramer to protect himself and his family from deportation by registering the gallery under the name of his son, who, according to Nazi racial laws, was not considered Jewish. The gallery was thus “aryanized” (in Nazi terminology). 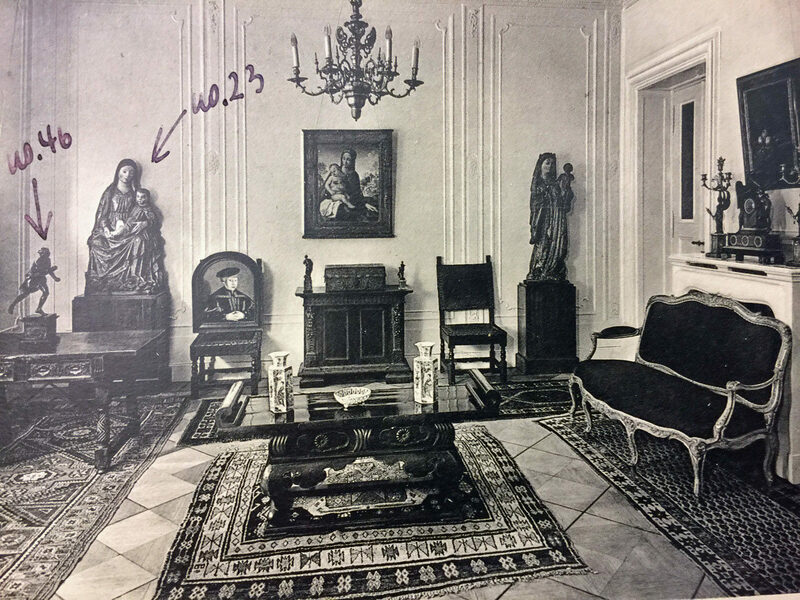 A similar fate struck the art dealers Alfred Flechtheim in Düsseldorf in 1933 and Georges Wildenstein in Paris in 1940, as well as many other Jewish businesses in Nazi-occupied territories. 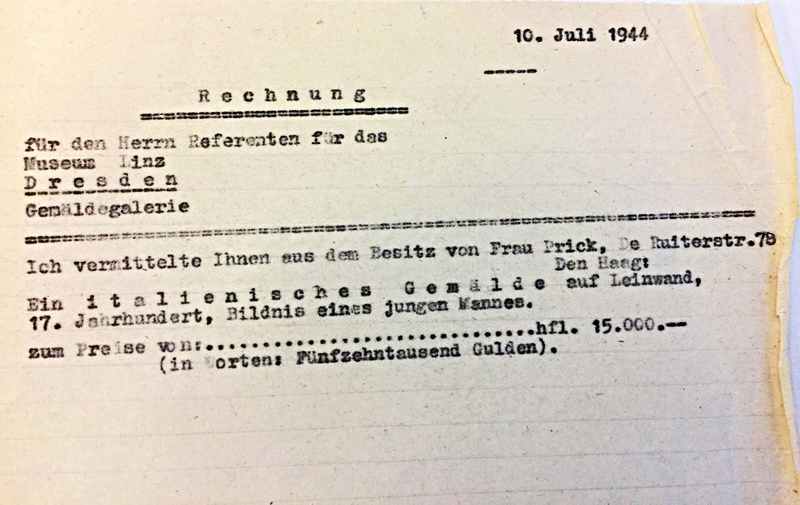 Each invoice is addressed either directly to the German art historian Erhard Göpel or indirectly to him in his role as the commissioner for the Linz museum. 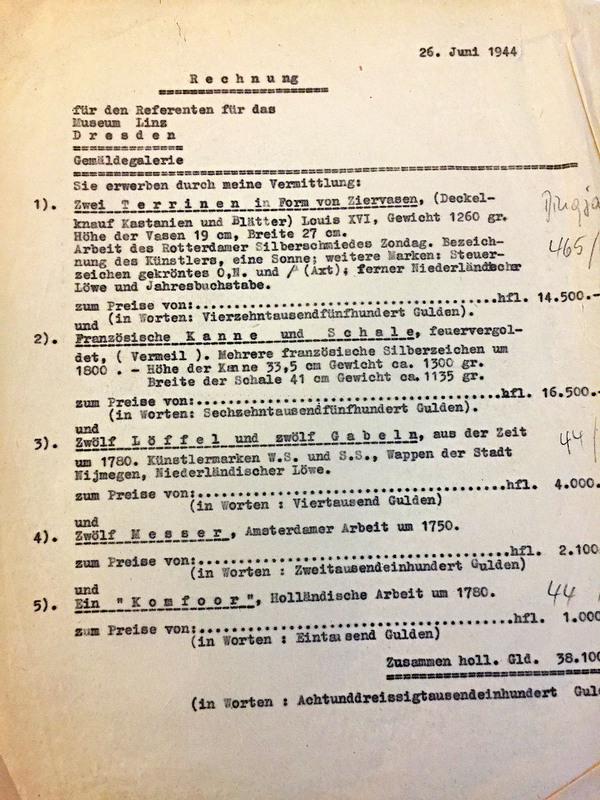 During the war, Göpel acted on behalf of the Reich Commissioner for the Occupied Dutch Territories and was in charge of that agency’s Special Board for Exchange of Cultural Objects. 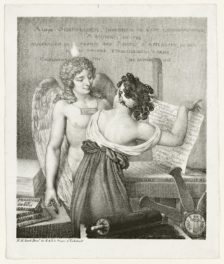 Hans Posse, the director of the Staatliche Gemäldegalerie Dresden, commissioned Göpel to explore the Dutch art market in anticipation of Hitler’s planned museum in Linz, known as the Sonderauftrag Linz. After Posse’s death in 1942, Göpel continued the work under the new director, Herman Voss, who was also in charge of the Sonderauftrag Linz. 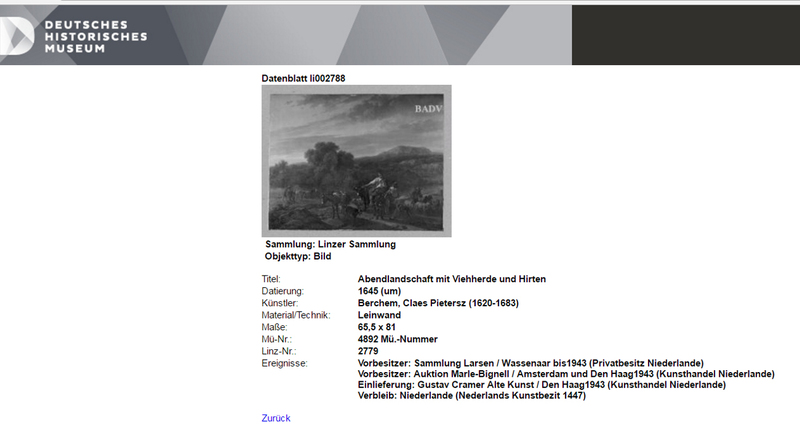 A provenance search for Cramer in the Linz database retrieves eighteen records for paintings delivered by the gallerist to the Sonderauftrag Linz. 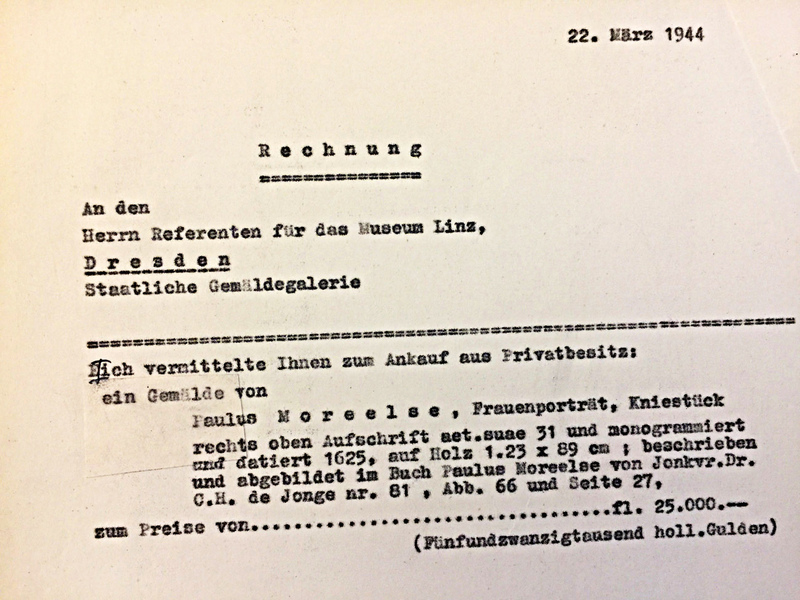 The invoices at the Getty Research Institute confirm that the paintings were indeed sold on the wartime Dutch art market. Occasionally, they also provide new information that is not always listed in the database, such as sales prices. One of the wartime invoices is for the sale of five eighteenth-century French and Dutch silver objects to the Linz museum. Cramer mediated the sale on June 16, 1944. 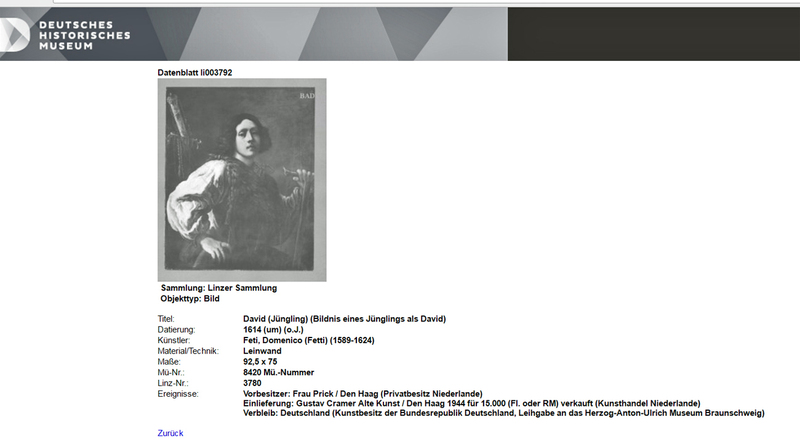 These silver objects are not indexed under Cramer in the Linz database and seem not to be accounted for in the database overall. Besides prices, the invoice provides detailed descriptions of the objects. 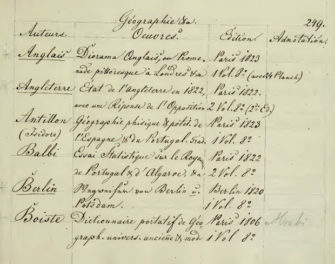 This document may turn out to be an important lead needed to establish the identity and provenance of these objects, as well as their current location. Very informative article! I believe I spotted an error, though: Linz is not in Germany but in Austria.